County of Perth fully utilizing and growing with software from HR Systems Strategies Inc. The County of Perth is located in beautiful Southwestern Ontario and comprises four member municipalities including the Municipality of North Perth, the Municipality of West Perth, the Township of Perth East, and the Township of Perth South. 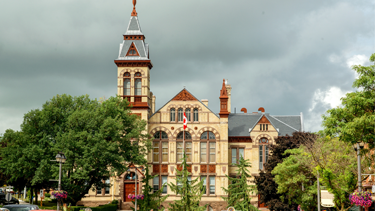 Perth County employs over 165 municipal employees and 100 paramedics and was a pioneer within the municipal marketplace towards implementing systems to automating standard HR processes. The decision was made to bring in the team from HR Systems Strategies (HRSS) and info:HR 10 years ago and they’ve never looked back. Tricia Wilhelm has been in her position as HR Assistant for over 9 years and the main user of info:HR. With a two-person team managing human resources and payroll for the 165 municipal employees, HR relies heavily on their HRIS to help with their day-to-day tasks. For more information, please contact Bill Kennedy at 416-599-4747 or billk@infohr.net.